And by “he,” I mean the dog, not my husband. Private Parts, also known as P.P. I live in a Fun House—as in the kind you find at a traveling amusement park, staffed by carnies. The crew chief is my husband, Chris. And I’ve now written about our relationship, pre-kids, during a time you’d have thought we were semi-sane. But we weren’t. . .
My humor essay, entitled “The Five Stages of Grief Marriage and Dating” is going to appear in a new anthology, I JUST WANT TO BE ALONE. This book, now available for pre-order on Amazon, contains hilarious stories about the men in our lives. Nearly 40 of the web’s funniest women have contributed. It’s spearheaded by Jen of People I Want to Punch in the Throat. My essay involves the Middle Eastern desert, running over lizards, a sinking ship, and bacon. What more is there? 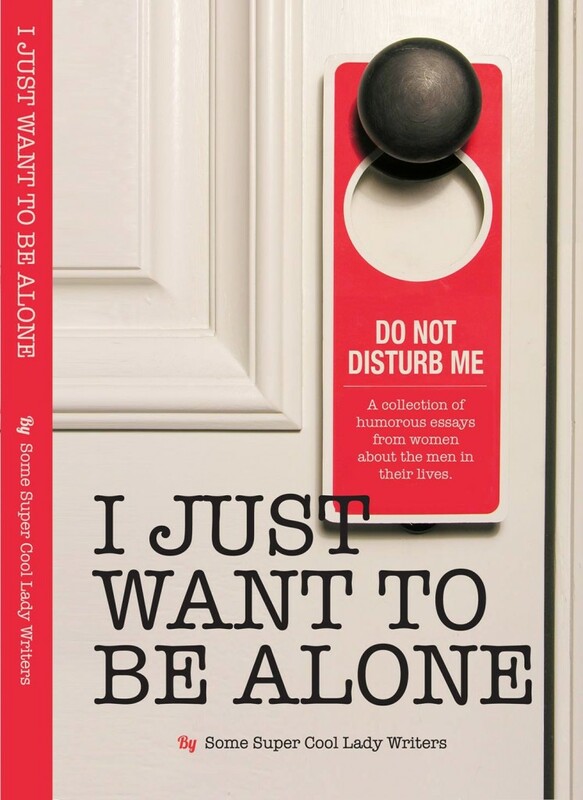 I JUST WANT TO BE ALONE comes out in one month in both paperback and Kindle formats. You don’t want to miss this. The first humor anthology that Jen edited, I JUST WANT TO PEE ALONE, was a #1 Bestseller. I’m hono(u)red to be in this instalment with so many funny women. Go buy a copy. Or I’ll make you come to Calgary and buy something from Chris at the flea market. Careful: it could be half a dog, or a whole kid. CLICK HERE TO PRE-ORDER YOUR COPY OF I JUST WANT TO BE ALONE. 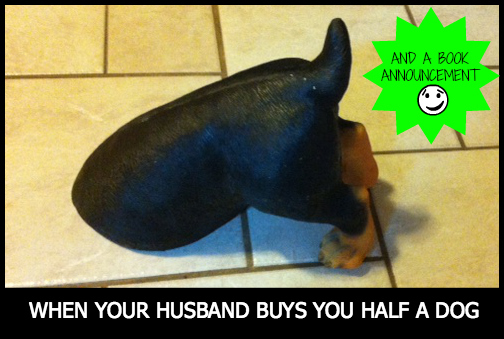 Maybe then Chris will buy us the other half of the dog. You keep succeeding, Leanne… and I keep failing. In an uncertain, ever-changing world, it’s nice to know somethings are immutable, isn’t it? Congratulations on this latest victory. Sounds like a fun read! You are too funny.